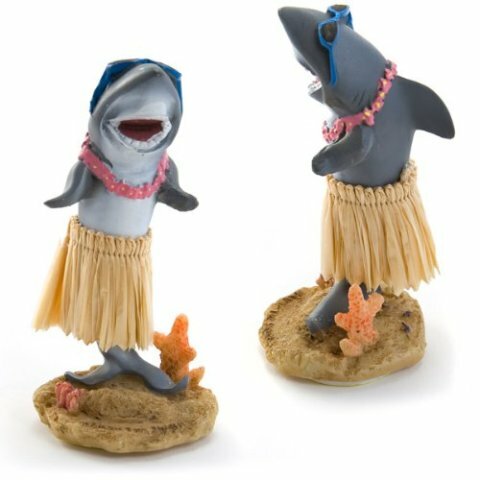 are those of us who go for the hilarity of a Dashboard Hula Shark. Whether you are a shark lover, a big fan of Hawaii, or just have that sort of sense of humor, this little fish will brighten your drive-time and entertain the kids. Installation is just peel and stick, then your shark is ready to dance away while you drive. At just four inches tall it isn't going to block your view -- and it gives you someone to talk to when you are stuck in traffic all alone. However, it will not count as another occupant to let you use those carpool lanes. For that you need another shark fan. 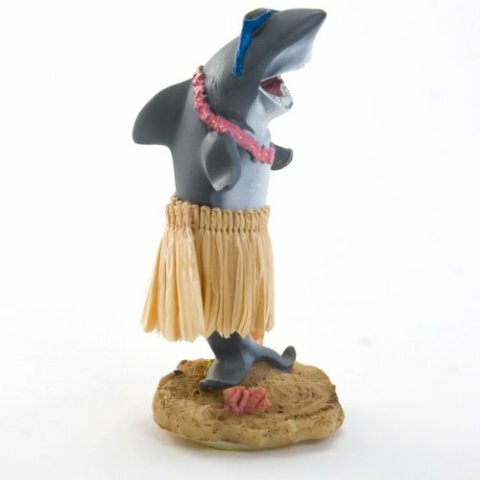 To order a Dashboard Hula Shark for yourself or as a gift, click here.